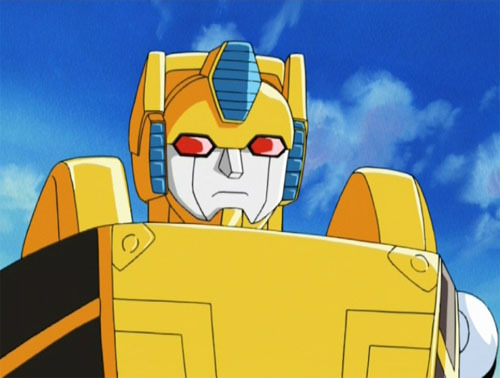 My favourite part of my recent re-treading of Transformers: Armada thanks to Tidal Wave and the PS2 game was when I was looking for little Armada Ramjet and poured the two bins full of Mini-cons out on the couch and started digging through them with my kid. Truthfully, there was far more playing than searching. 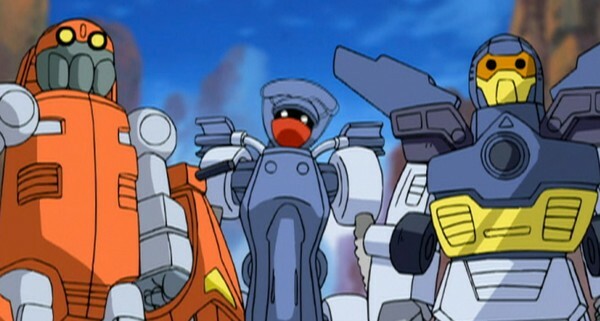 Armada is one of those series that makes me wish my Botcave was four times larger than it is. I wish I had the room to display all of the great toys that came out of that series, especially the multitude of Mini-cons. 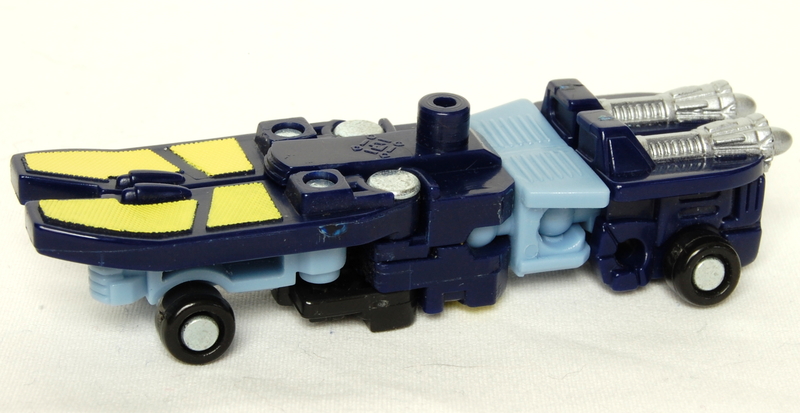 Nothing since has really matched their level of tiny, ingenious simplicity, the detail despite their small size, and some of the most inventive transformations ever (see Armada Bonecrusher as a prime example). As I’ve stated before, it’s also a series that makes me sad that the fiction was so very poorly done. When I started playing the video game and especially when I dumped a pile of Mini-Cons on the couch, my son naturally began asking a plethora of questions about the characters, the setting, where Mini-Cons come from, etc. I would love nothing more than to have a show to fire up and answer all his questions. Being four, he most likely would not have as big a problem with the endless technical errors and issues, but there’s no way I could stomach going through all that nonsense again. 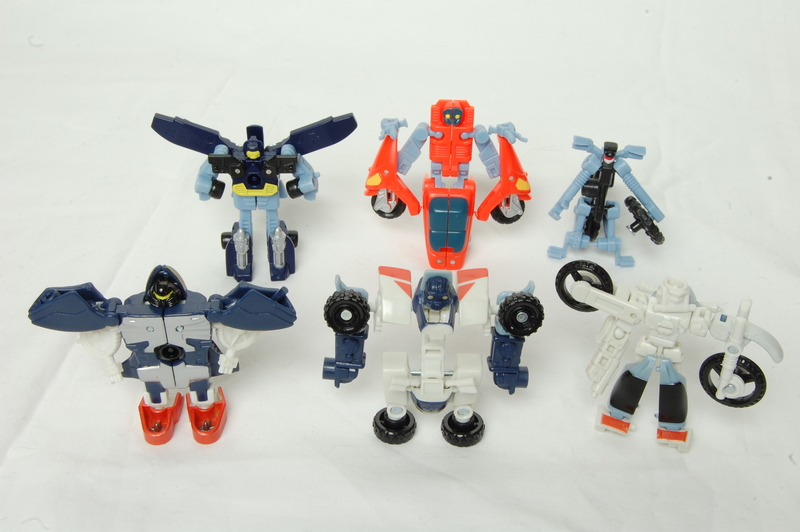 However this post is about Leader-1, Leader-1, and Leader-1, the Leader-1 Mini-Con Team! Ummmm, wait. That’s not Leader-1, maybe this is? No. Oh! Yeah, this one. No… wait, I remember now, it’s this guy. 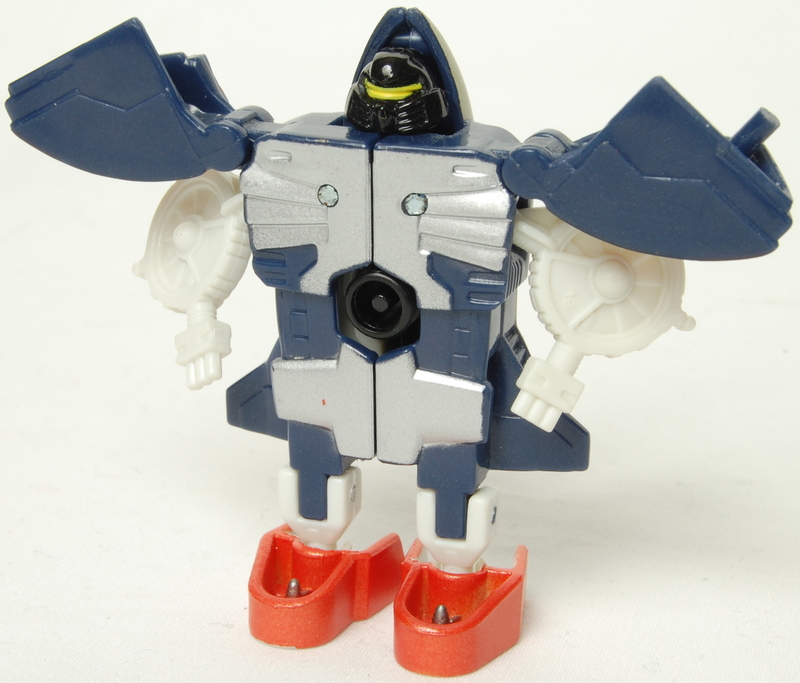 If you didn’t get that joke, you are lucky enough to either have never watched enough Armada or have just flat-out scrubbed from your memory that almost every Mini-Con in the show at some point gets incorrectly named Leader-1. 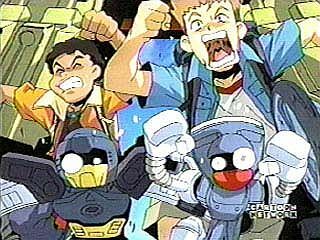 Doesn’t matter anyway, because this post is actually about that first group of Leader-1’s, better known as the Street Action Mini-Con Team. As the companions to the main three kids of the show, Grindor (I guess they were running low on good names? ), High Wire, and Sureshock are featured prominently. 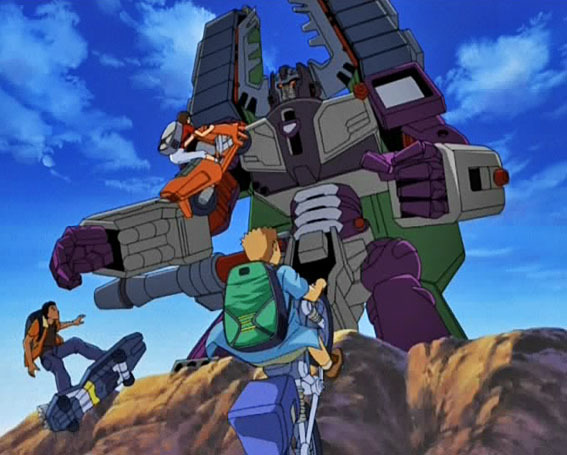 Much like most of the kids that show up in Transformers cartoon, these three and their Mini-Con buddies are adventurous to a fault; charging straight into Megatron’s face at times. Either super brave or super stupid, I never figured out which. All animated silliness aside, the toys are really good on their own. 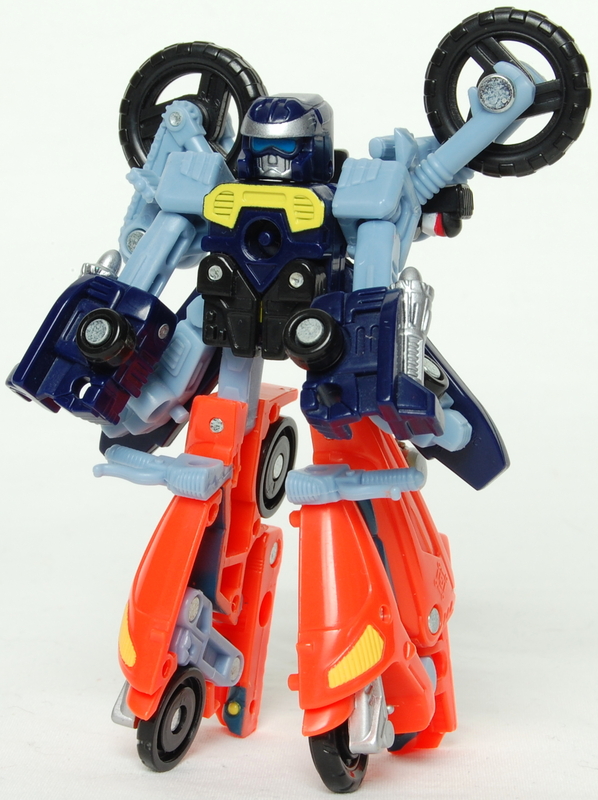 Grindor (ugh, I just… can’t handle that name) is the most straight forward in robot mode. 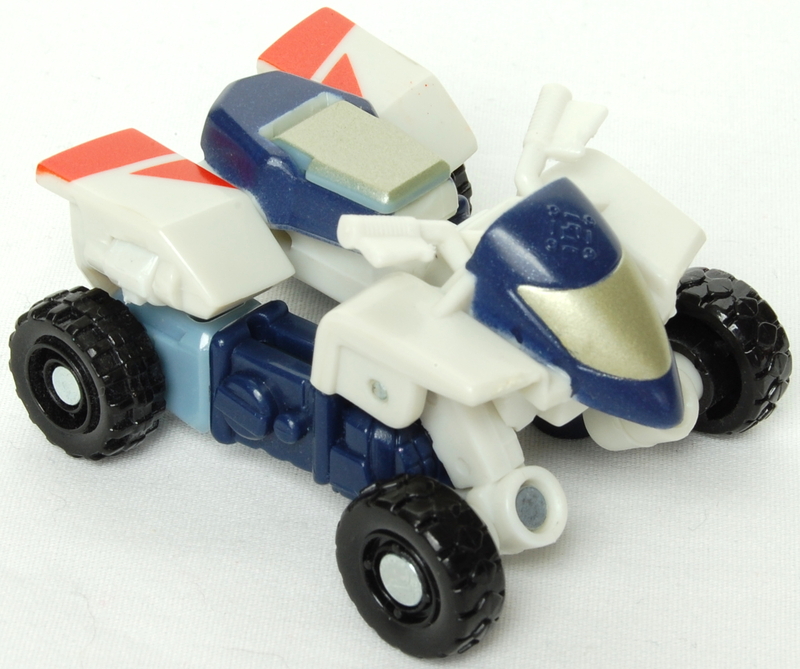 However, he seems simultaneously the most fun and the least safe alt mode; a rocket-powered skateboard. Sureshock has a bit of an arm kibble issue to contend with but overall, still a solid robot mode. 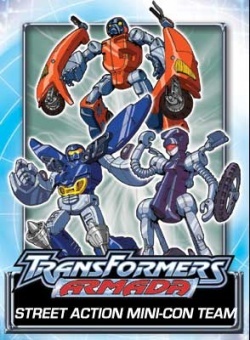 A little bit of trivia: the Dreamwave comics More than Meets the Eye profile series for Armada officially made Sureshock a female character. That most likely explains why she chooses to hang out with Alexis rather than those two silly boys. 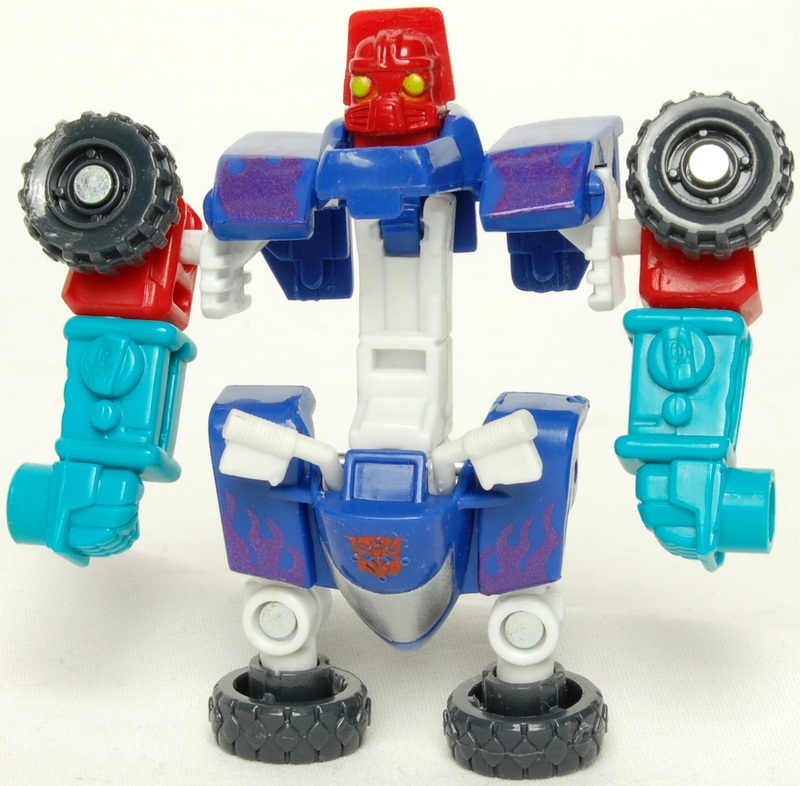 While Sureshock’s robot mode has some pretty impractical arm kibble, her alt mode is the very definition of practicality. 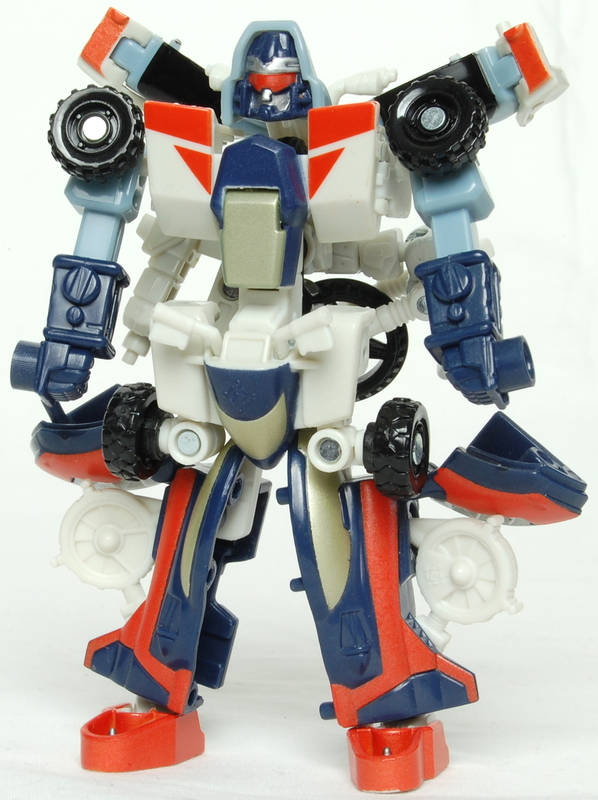 Speaking of Gobots, the first thing I though of when I saw her was, “Hey! 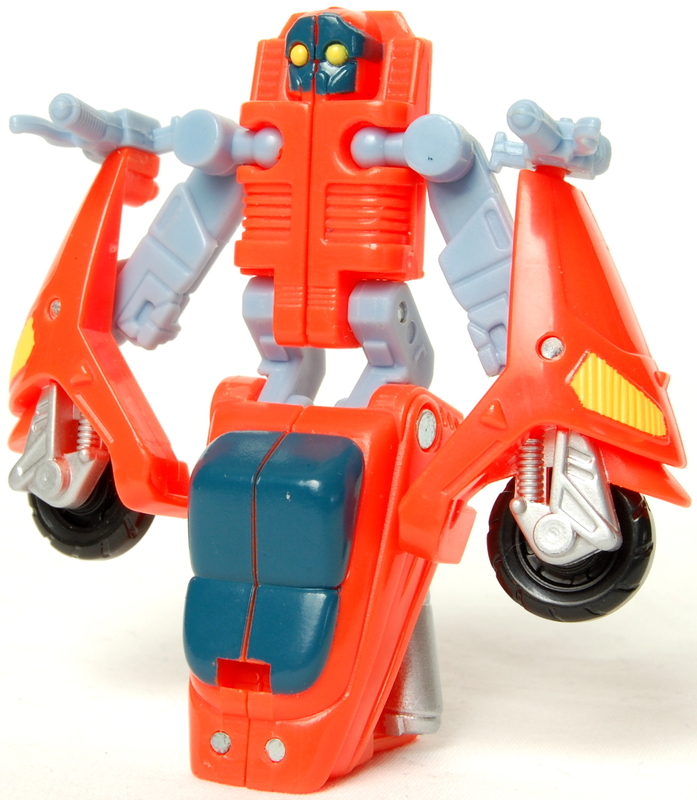 It’s Scooter!” The complete opposite of practicality, High Wire manages to get the worst in the Alt mode department. A bicycle. 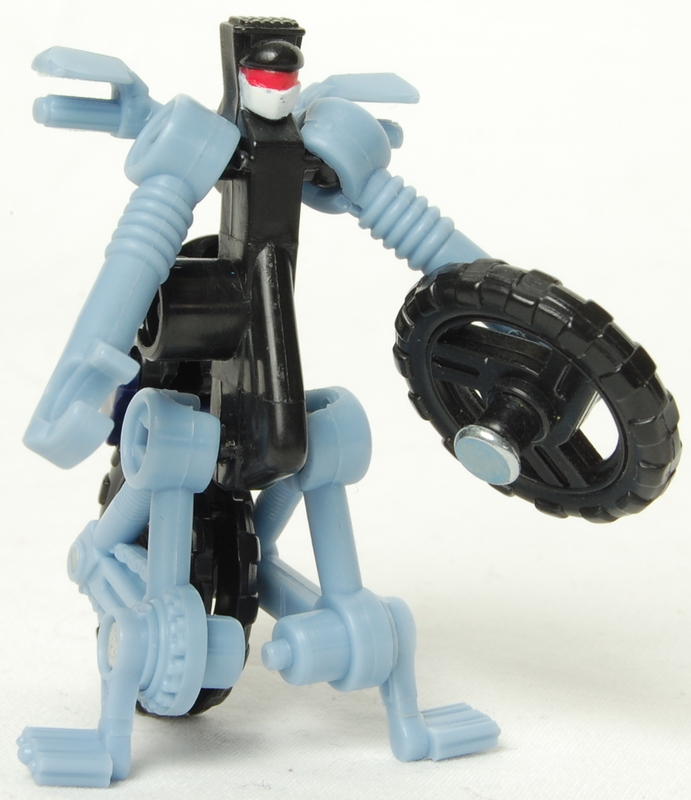 A non-motorized alt mode. Maybe he’s just really lazy and wants someone else to do all the locomotion for him? 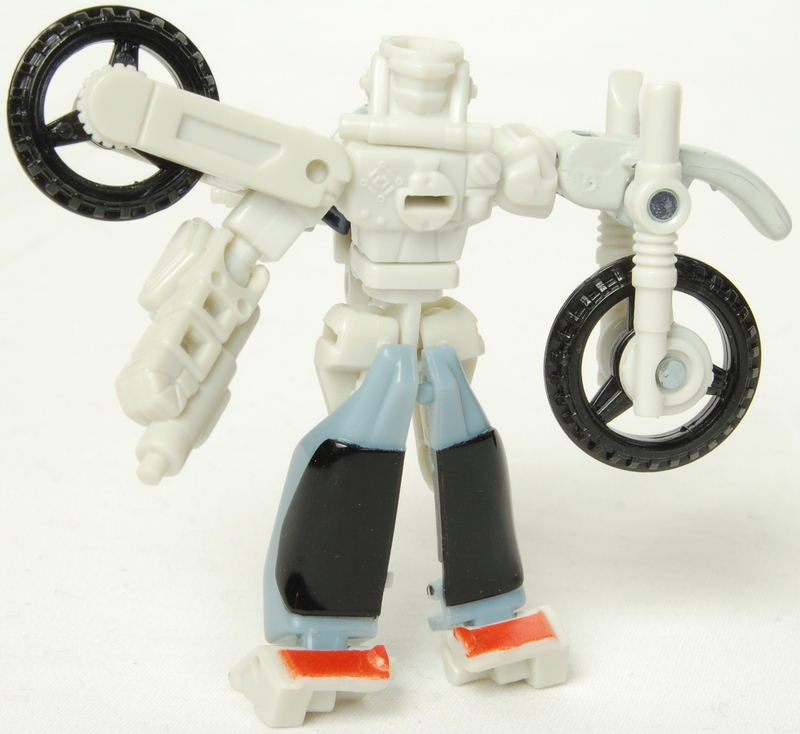 Then again, his robot mode doesn’t fare too much better, what with a wheel for a hand. That’s gonna make picking things up really difficult. “Although they look ordinary, these three robots are keys to the Mini mission of all the Mini-Cons.” Of course, the best thing about this tiny team of pintsized powerhouses is that, “They combine into a robot, showing the strength of teamwork.” This little dude is seriously one of my favourite toys to come out of the entire Armada line. 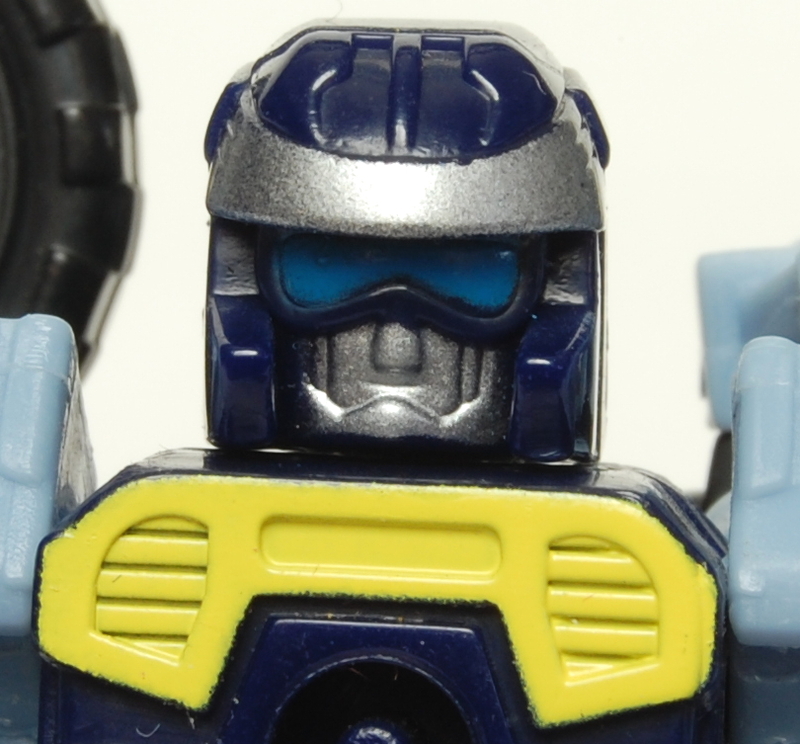 There’s just something about his look that I like a lot, especially his headsculpt. 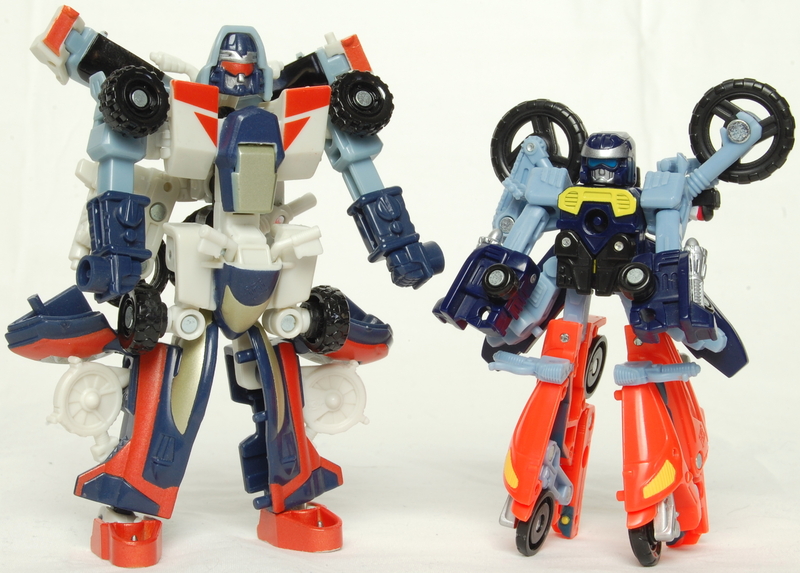 Though it was an odd and seemingly arbitrary choice to apply the name Perceptor to their combined form. 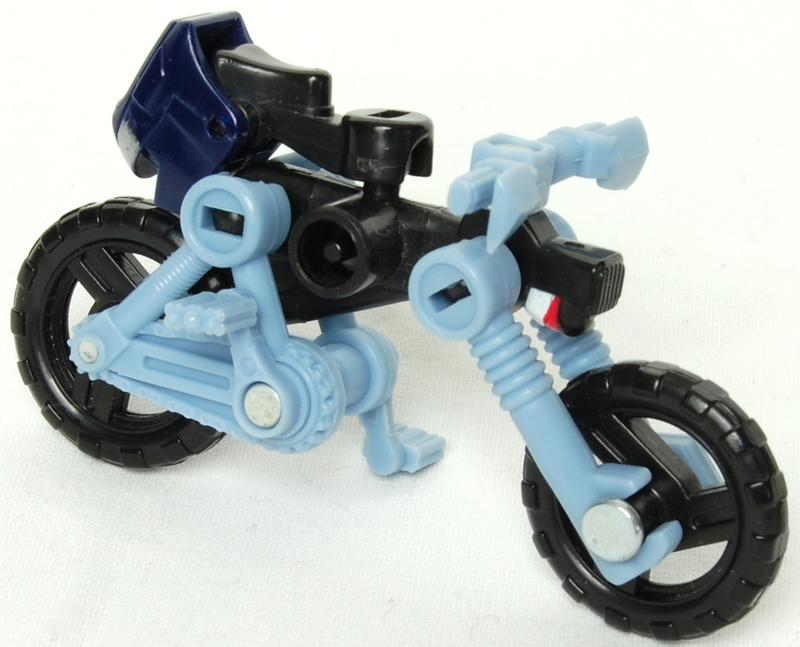 As the Unicron “Trilogy” moved on, the Street Action Team received… well, I hesitate to call it an upgrade. Their combined form is certainly larger and passable, but it’s missing the nice streamlined look of Armada Perceptor. Energon Perceptor suffers from excessive amounts of Combiner kibble. He is still acceptable, despite this. What isn’t quite so acceptable? 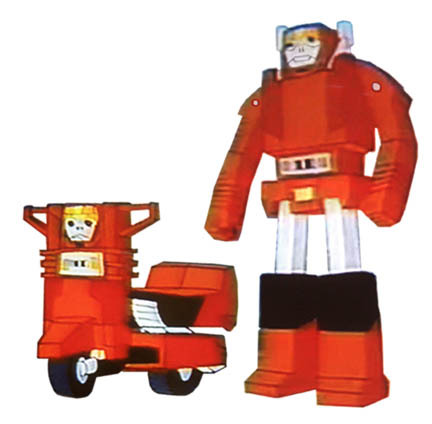 What they did to the individual robots that make up Energon Perceptor. High Wire fares the best, though he still has that wheel-for-a-hand handicap. 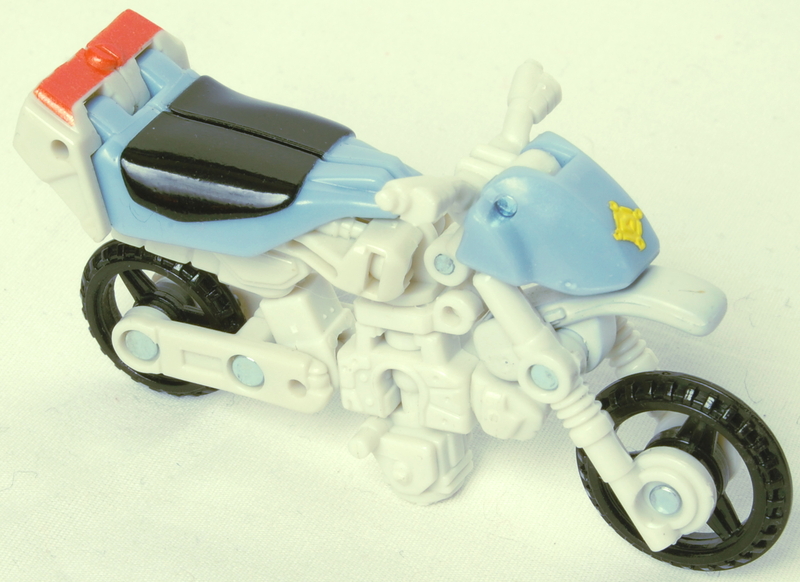 And he actually gets an upgrade in the alt mode department, now a motorbike rather than a bicycle. 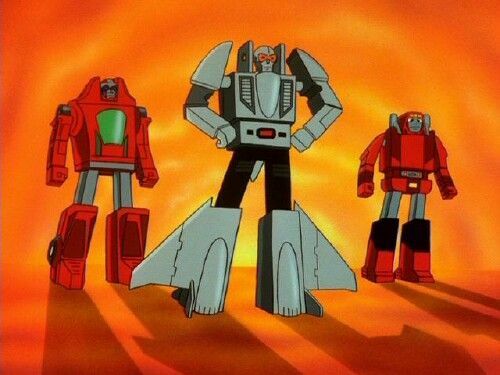 No, the real travesties are the robot modes of the other two. 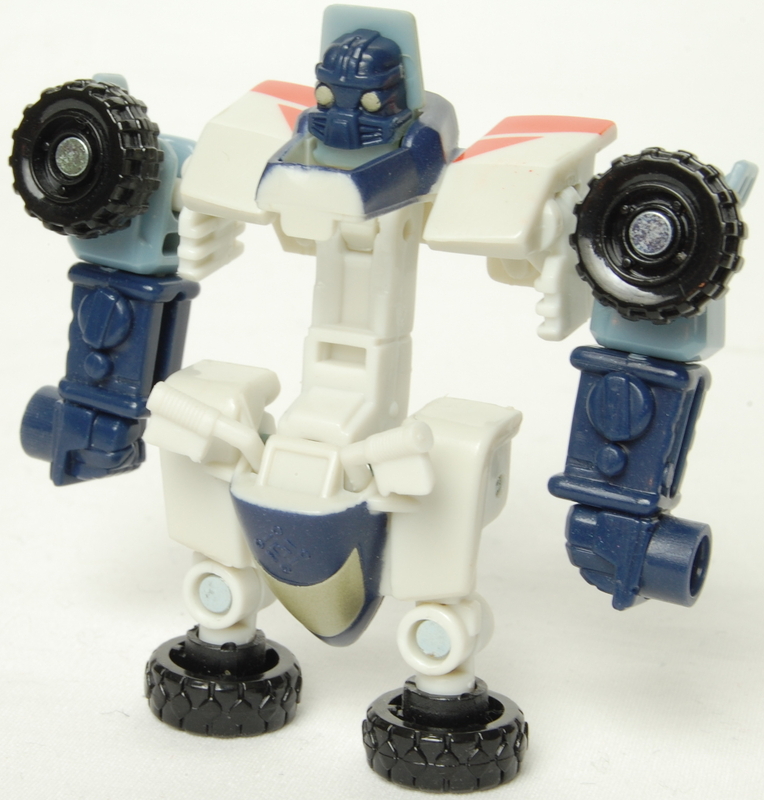 Grindor retains his silly name but now has a much sillier robot mode to go with it. Just a vaguely armless and legless, stubby, ball of robot. 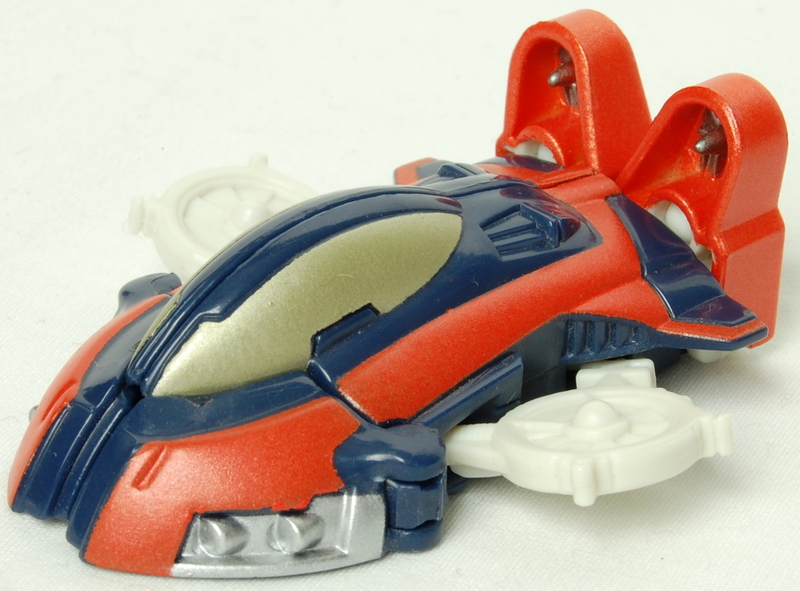 Now, whether the move from rocket-skateboard to hovercraft is an upgrade or downgrade is a matter of opinion, but the hovercraft at least looks cool. While Sureshock at least has arms, she now shares Grindor’s unfortunate leg (or lack thereof) situation. 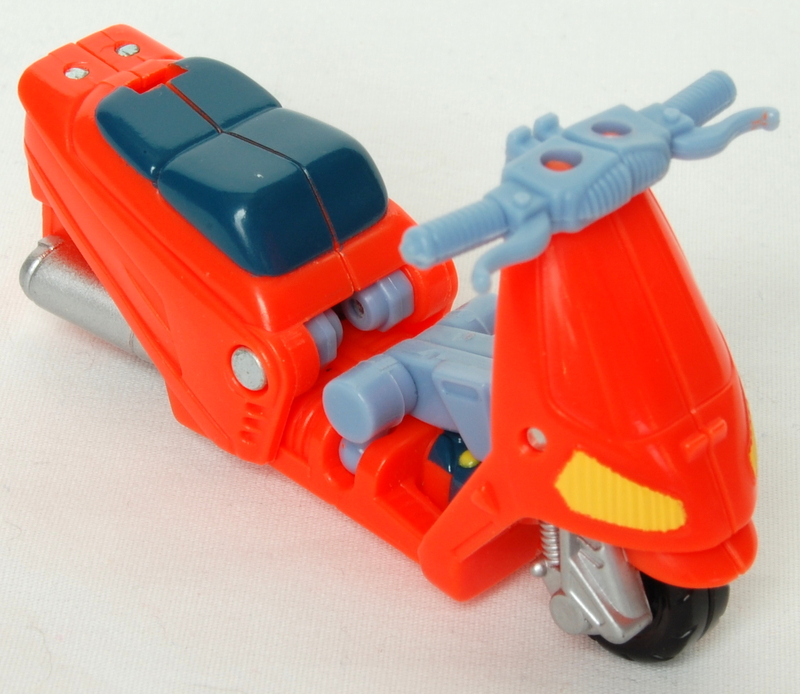 Also, her adorable orange scooter alt mode is gone, replaced by a rather boring four-wheeled ATV alt mode. 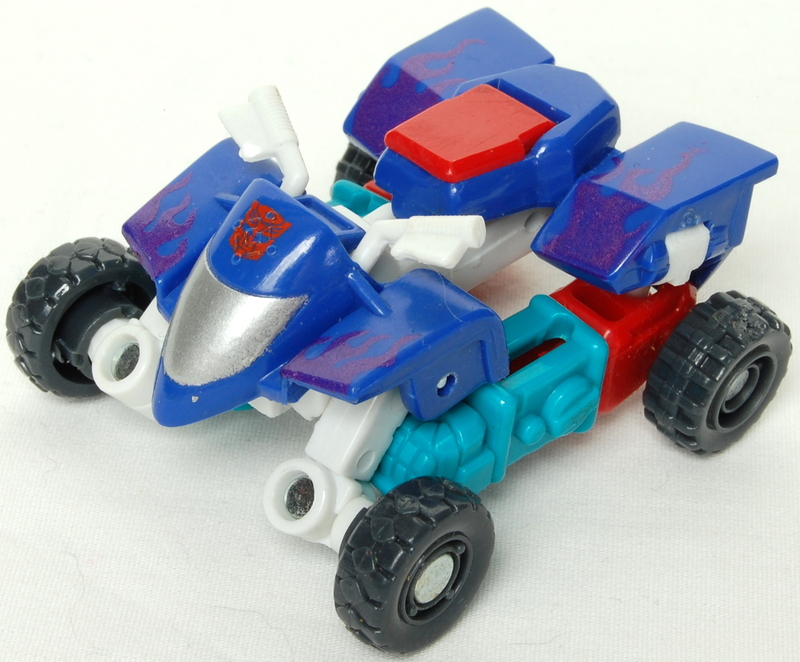 Even when she was done in a much more vibrant colour scheme for her Cybertron release, it didn’t do much for her. There’s really not much you can do with this mold. I still need to hunt down her pals, but unfortunately they only came in two-packs that were notoriously difficult to find. 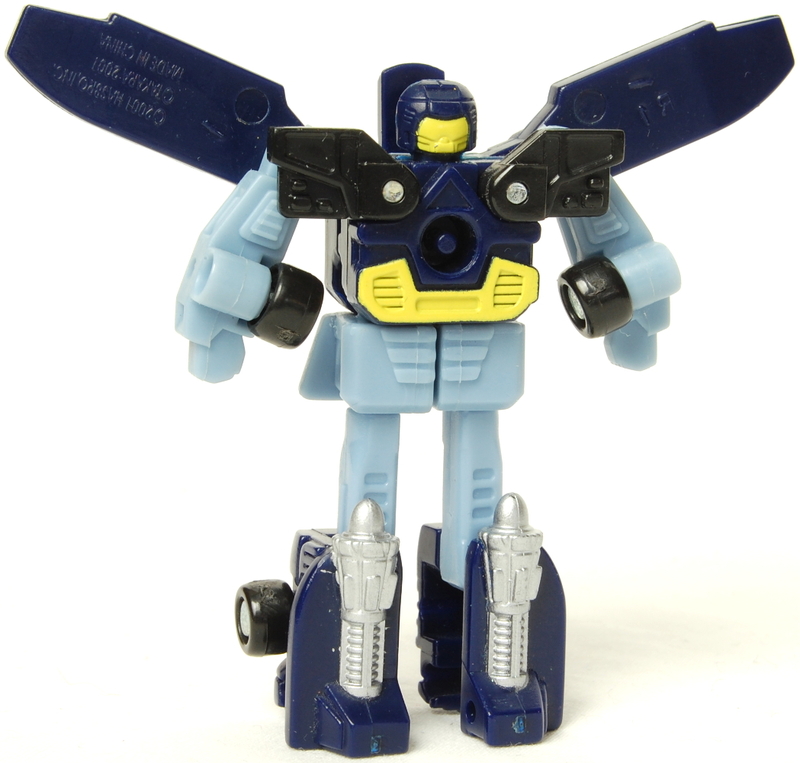 I was lucky to find her and her package-mate, the Decepticon repaint of Sky-blast, Backblast.